In today’s workforce, we work more often than ever before with other cultures across the globe – we even state that a “Global Mindset” is the desired competency for both ourselves and our leaders. Against this backdrop, “When Cultures Collide and using Values for Transformation” will discuss why it is important to know your own culture, understand other people’s cultures, promote engagement through values, and build strong working relationships. The presentation will explore the work of the Barrett Values Center (BVC) and its Seven Levels of Consciousness® model, which applies to all individuals and human group structures and how they grow in stages of psychological development. We will examine the model through a lens of striving for self-actualization in our organizations by understanding values – both our own and those of the people we work with. What it means to be Culturally Aware on the Global Stage: why it matters and what it looks like in the US, India, China, and the UK. Cultural Norms and the Five Key Dimensions (from Aperian Global) – using cultural intelligence as a resource for improved cross-cultural understanding. Introducing the Barrett Values Model – from Maslow’s Hierarchy of Needs to Levels of Consciousness. Utilizing material from BVC, participants will plot the values of two companies in order to review their similarities, as well as any differences they might need to be aware of that could be potentially limiting for the new merged company. Speaker: Tina Breslin has over 20 years' experience in leadership development, sales performance, process improvement, training, and organizational development. She combines this with senior HR management experience in order to assure results for her clients. 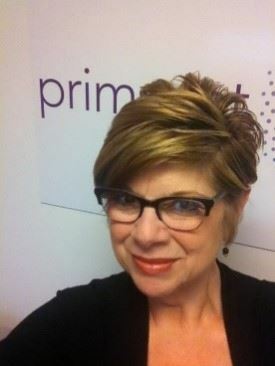 She now leads a global center for Primeast in North America.